Fort Jefferson heads to Royal Ascot! We have 2 runners on Saturday and they are headed by Fort Jefferson who will be our first runner at Royal Ascot when representing us in the Queen Alexandra stakes which is actually the final race of the whole 5 days of Royal Ascot. 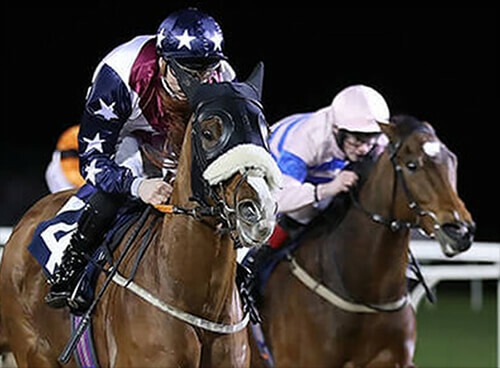 He has been victorious on his last 3 starts which included a maiden hurdle before 2 handicap wins back on the flat and does seem to be improving all the time. This is obviously a massive step up in class and probably too big a step up in class but you have to be in it to win it and his owners Racing Spirit should certainly have a great day out with a horse they could only have dreamt off going to Royal Ascot with. Paddy Pilley was aboard when he won his first handicap at Nottingham and will partner him again tomorrow. Our other runner on Saturday sees Helf revert back to the flat in the second race on there card, he has been slightly disappointing over hurdles but is in good form at home and we are hoping he can show more promise tomorrow over a trip that should suit.